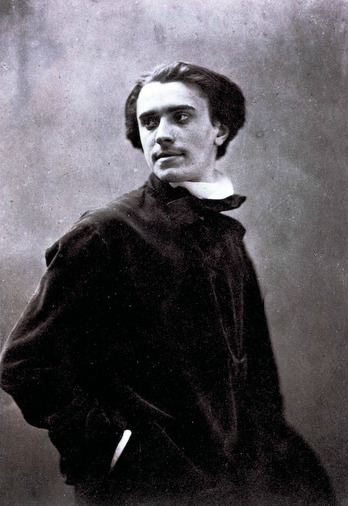 Congratulations to Rob from Amersfoort who recognized yesterday's Person-of-Mystery as Gaspard-Félix Tournachon (better known by the pseudonym Félix Nadar or just Nadar) even if Rob was too modest to actually say who it was. 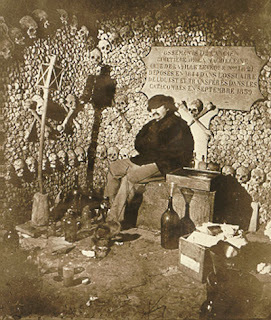 My guess is that Brian was also able to crack the cipher as he seems so good at those. And thanks to Ray in UK who finally entered a correct guess. 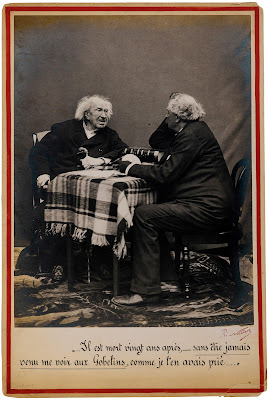 As a history teacher, there are many people from the past I wish I could somehow have back for an afternoon to accompany me for a stroll or with whom I could sit down and have a good chat. 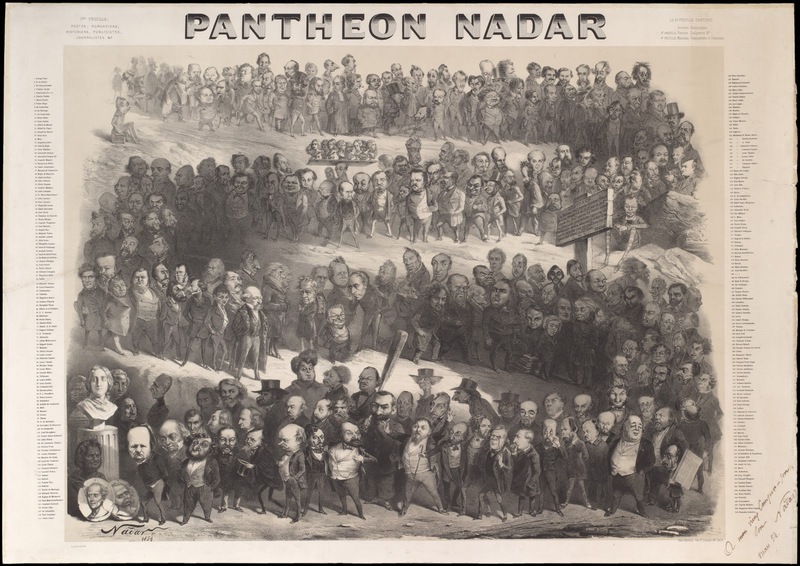 Nadar is certainly one of those people. Born in Paris, France, in 1820, Nadar began his career as an writer, illustrator, and caricaturist for Le Charivari, a satirical newspaper. 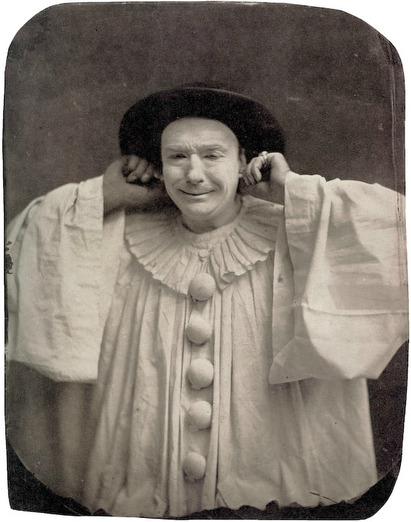 It was through his work as a caricaturist that Nadar developed his artistic eye for portraits. 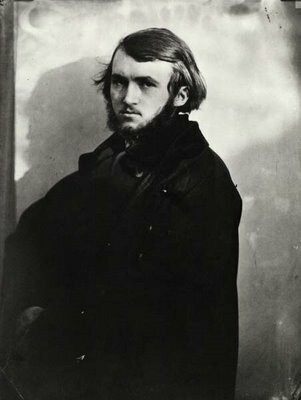 He was already well known for his illustrations when he took to the new medium of photography, opening his first studio in 1854. 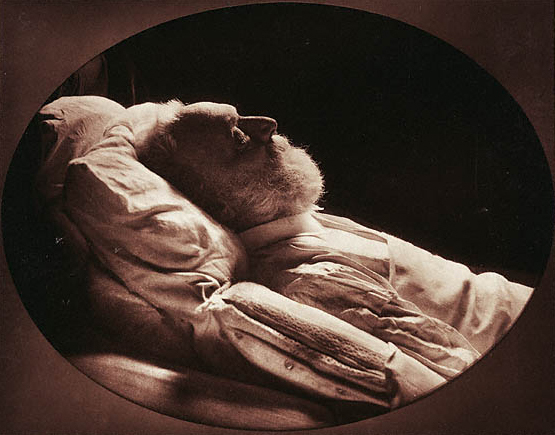 It was said by one contemporary that "all the outstanding figures of his era – literary, artistic, dramatic, political, intellectual – have filed through his studio." 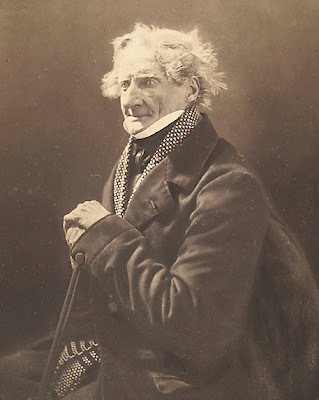 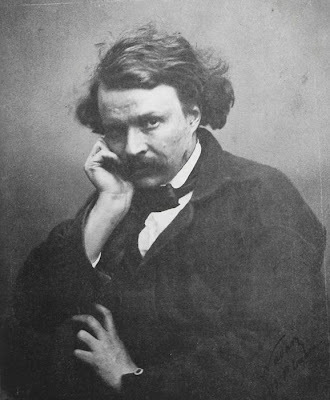 Nadar is said to have had a friendly and outgoing personality and was good friends with many of his portrait subjects. 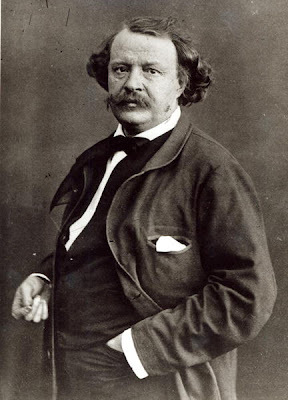 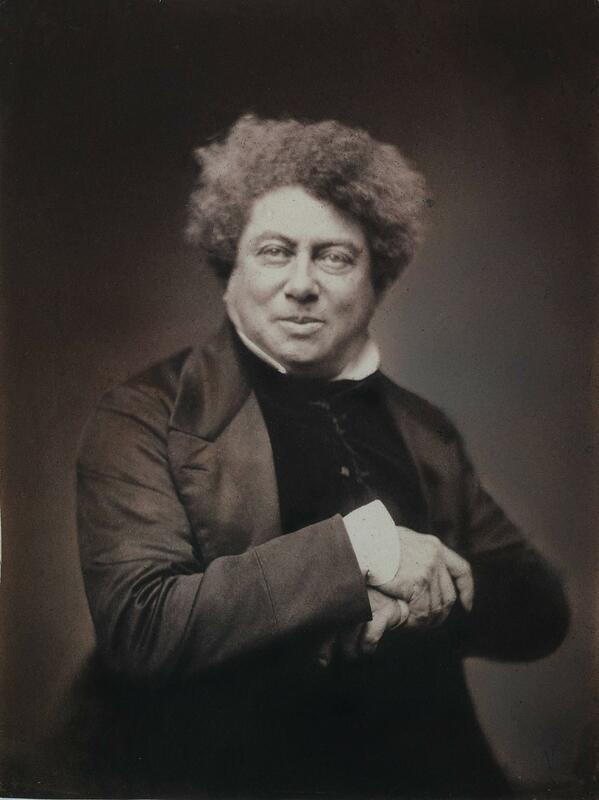 Nadar was artistic, immensely imaginative, and possessed a flair for the dramatic. His photographic portraits became known not just for the quality of his work, but for bringing out the character of the subject as well. 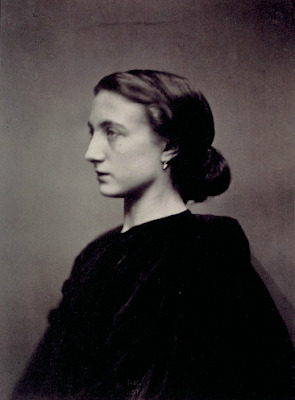 Nadar also used his creative talent to push the boundaries of early photography. 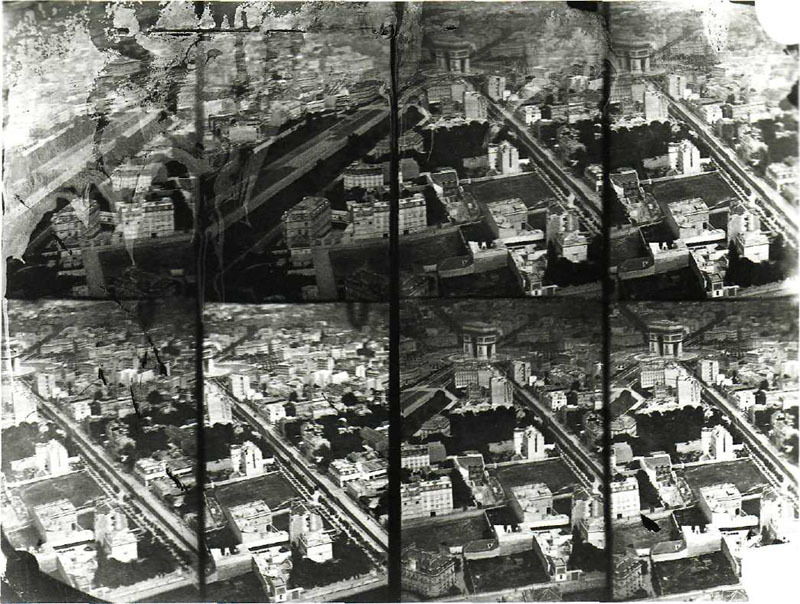 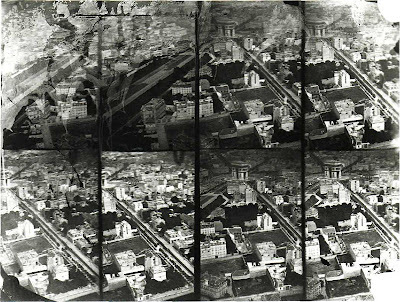 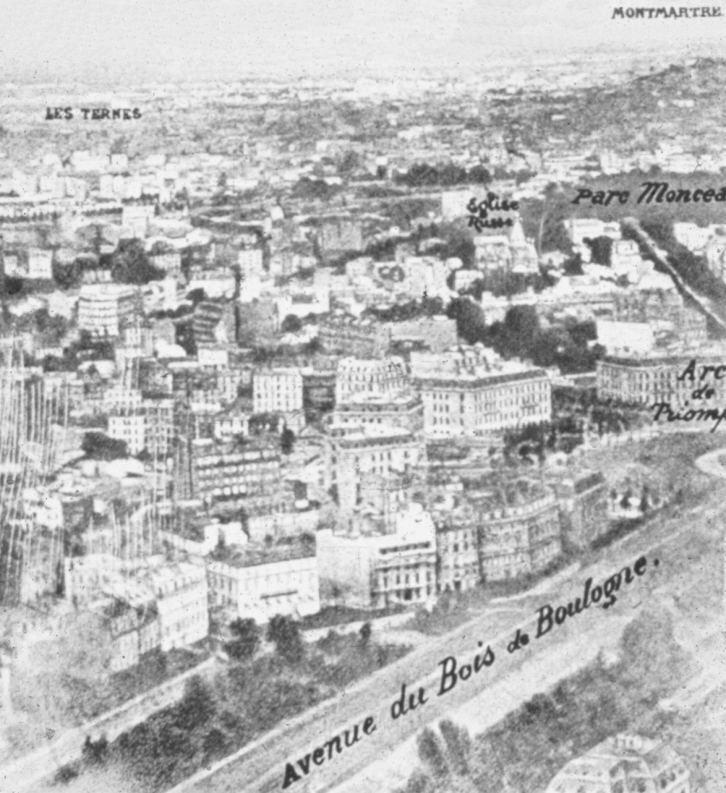 His curiosity led him to be one of the first to attempt aerial photography from a balloon and he was the first to photograph the Paris catacombs using artificial light. 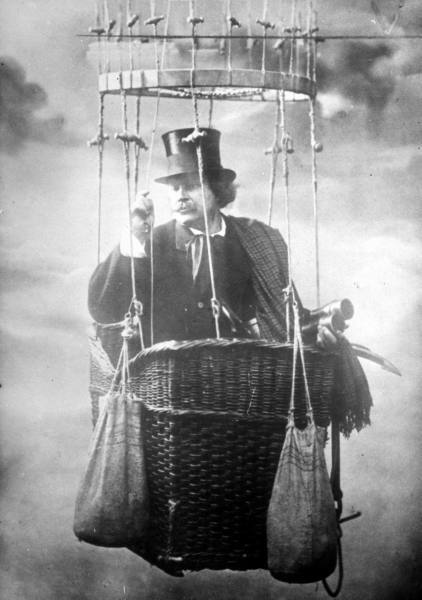 As Nadar kept pushing the bounds of photography, he began dreaming of new ways to expand his abilities to take aerial photography. 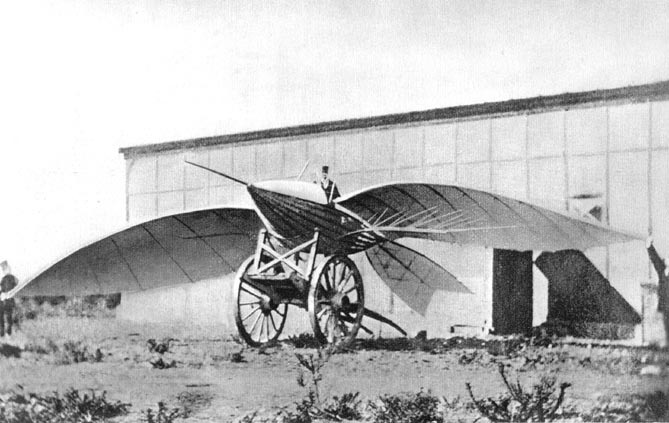 In 1863, he built a giant balloon with an enormous gondola. 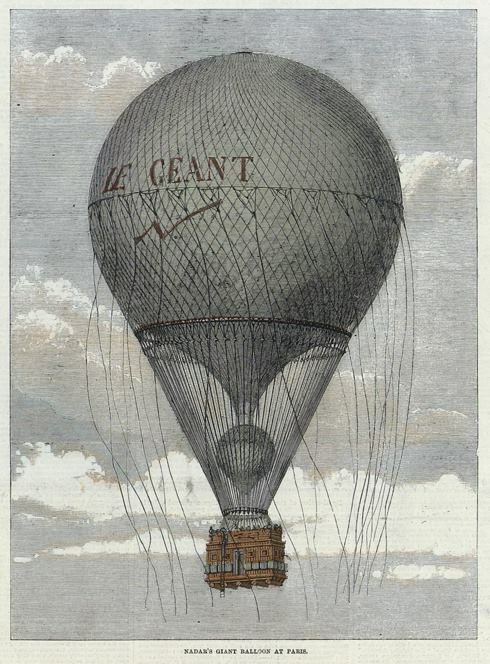 Dubbed "Le Géant" (or "The Giant"), the wicker gondola had a circumference of well over 300 feet (100 meters) and was about 15 feet tall. It included six rooms with four beds, restroom facilities, a balcony, and a lithograph press and darkroom to create prints that could be dropped to the earth – all without the inconvenience of having to land. 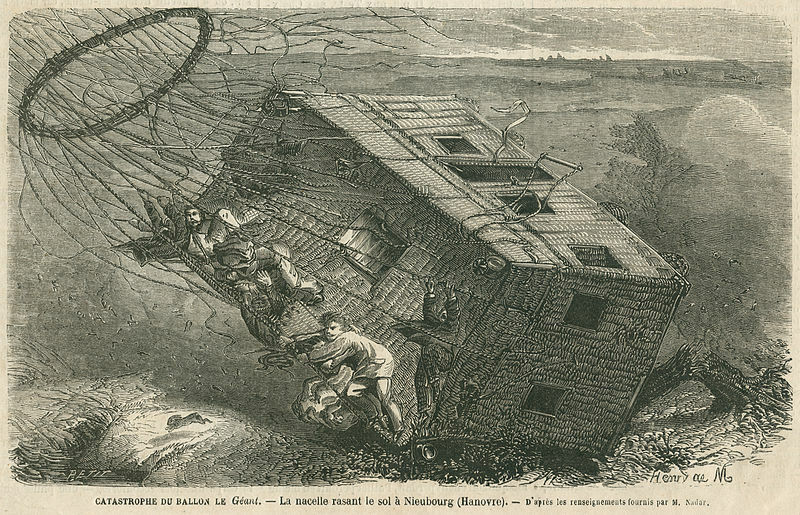 The gondola also allowed for wheels to be attached, so that after landing it could be pulled by horses. By way of comparison, Nadar's 1863 Giant was a little larger in volume than today's Goodyear blimps. Crowds thronged to see Nadar's balloon, so much so that when Nadar visited Brussels, he became the first person to employ crowd control barriers (still called Nadar Barriers in Belgium). 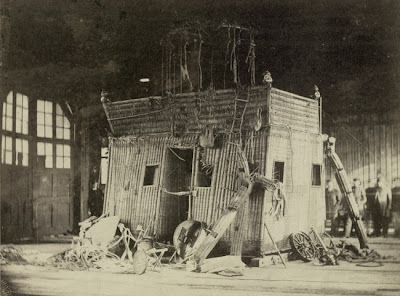 Sadly, Nadar's balloon crashed in Hanover on its second voyage and afterwards went on display at the Crystal Palace in London. 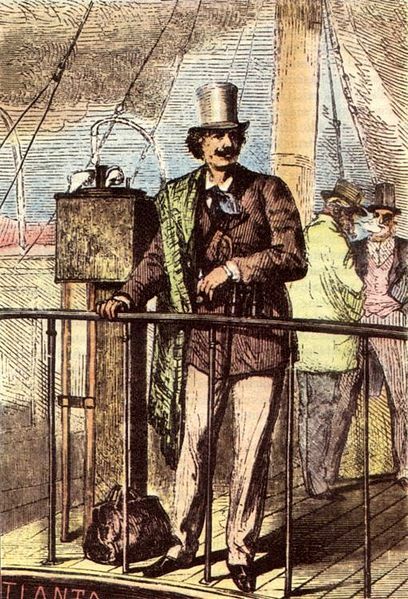 Although, Nadar's balloon did not survive for long, it made quite an impression on his friend Jules Verne, who used Le Géant as the inspiration for the novel Five Weeks in a Balloon. Nadar also serves as the inspiration for the character Michael Ardan in Verne's From the Earth to the Moon. 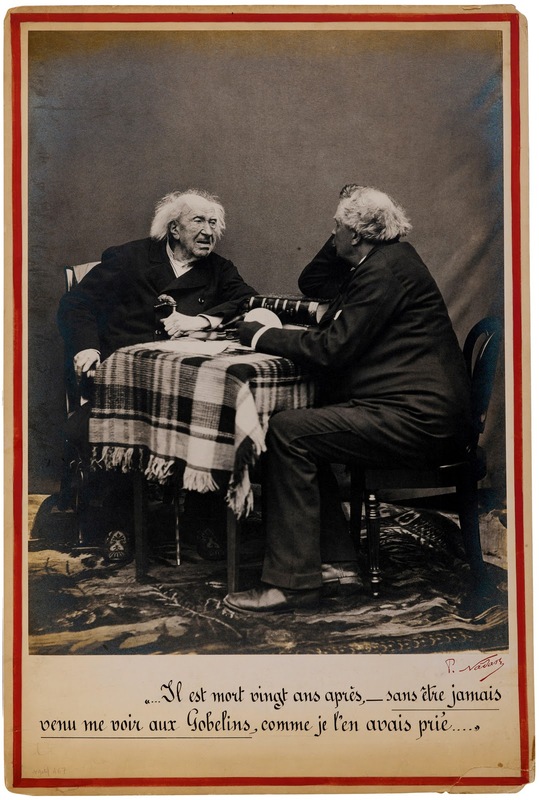 Not only did Nadar have friends in the literary community, but Nadar was friends with nearly all the new French Impressionists. 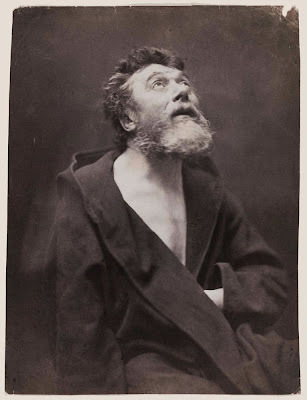 When the Adadémie des Beaux-Arts refused to display at the Salon the works of many of his friends (e.g., Cézanne, Degas, Guillaumin, Monet, Pissarro, etc. 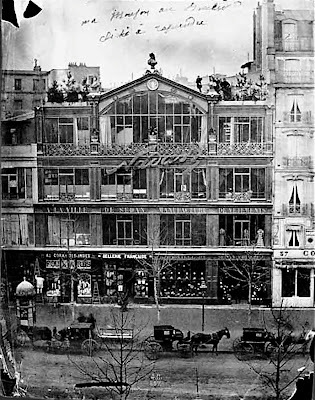 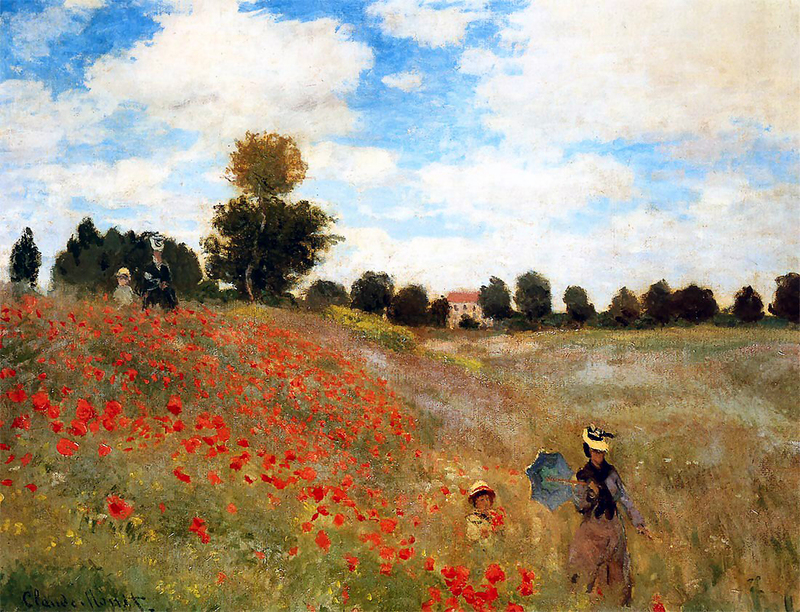 ), Nadar, in 1874, allowed them to use his studio for an alternate exhibition of the first public display of impressionistic painters. 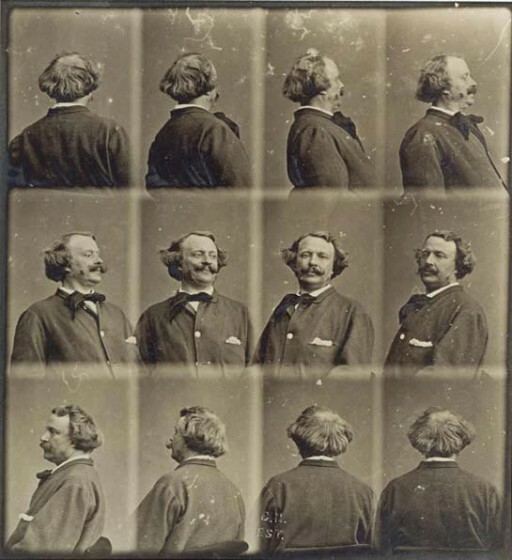 In 1886, Nadar published the first photographic interview with the centenarian French chemist Michel Eugène Chevreul, with Felix Nadar conducting the interview and Paul Nadar, his son, taking the photographs. 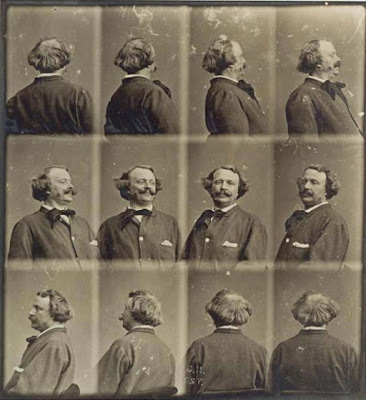 Nadar died in 1910, but his work serves as inspiration for photographers today. 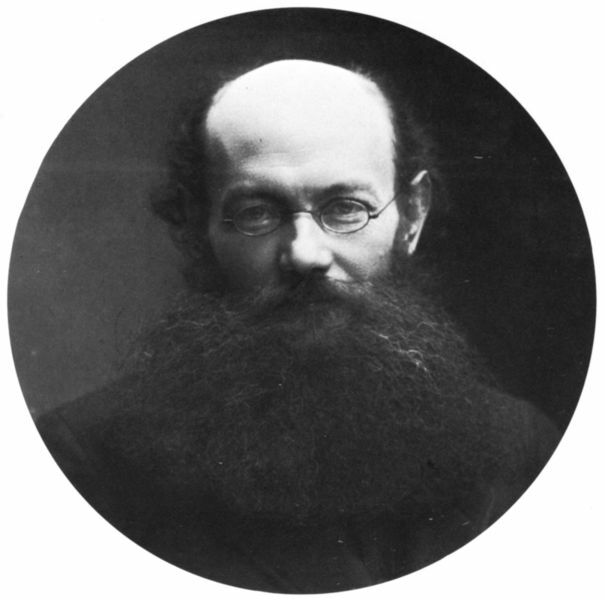 What an amazing person. Thanks, Nate. 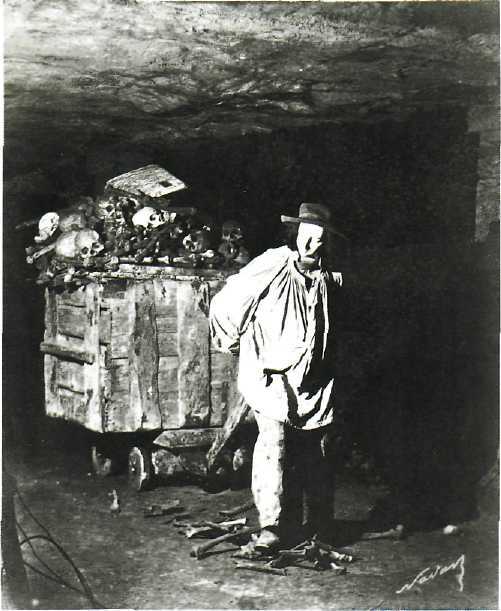 I had to check. I wondered if Nadar & Honore Daumier were contemporaries. 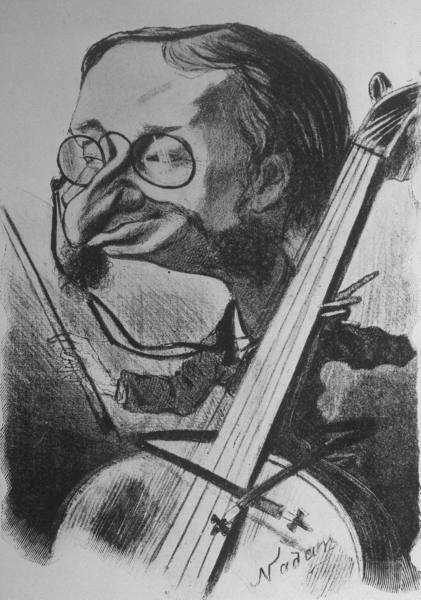 In fact, Daumier was a bit older & concentrated on satirical illustrations. 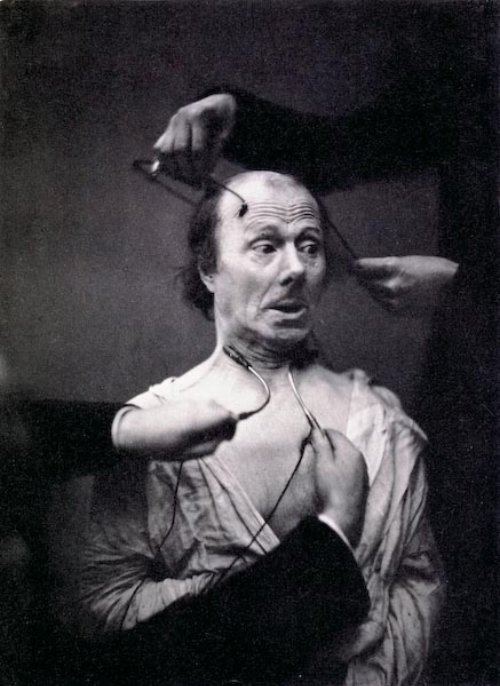 I love reading about Nadar. 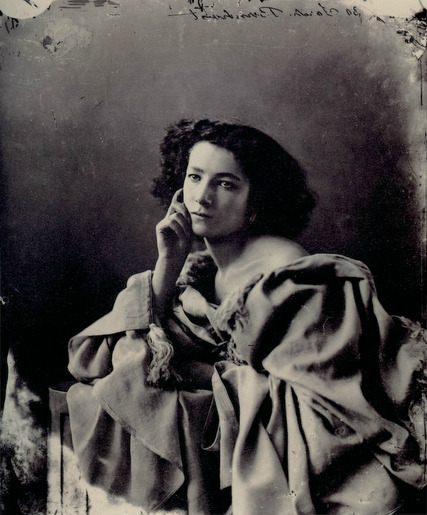 I've just found you while trying to find the provenance of the Mongolian girl and camel photo. You are right up my alley and I'm following. 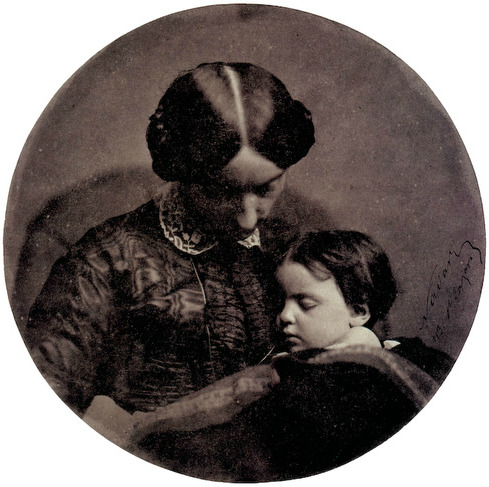 Beautiful photos, he was very talented! 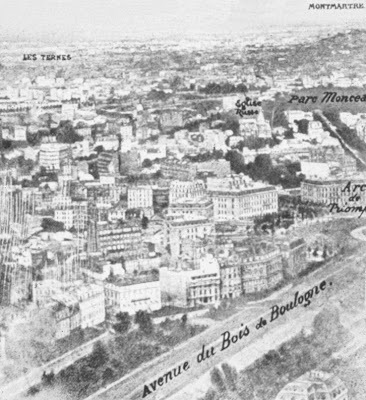 Every time I see an old picture of Paris I feel the need to visit the city, the last time has been more than 20 years ago.